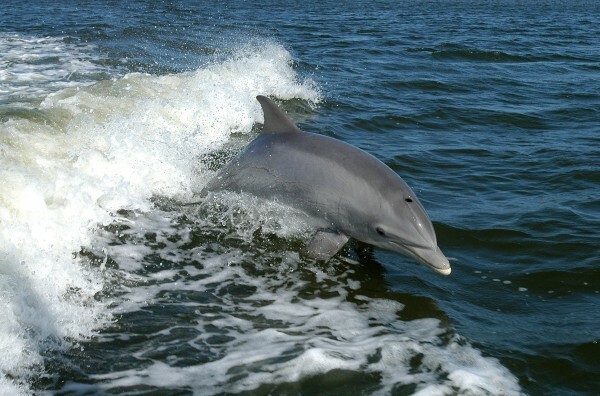 Dolphins are highly intelligent marine mammals. 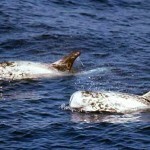 The order Cetacean includes the marine mammals commonly known as whales, dolphins, and porpoises. 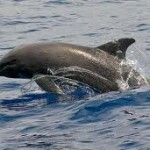 Dolphins are part of the family of toothed whales Odontoceti; also including orcas (killer whales) and pilot whales. 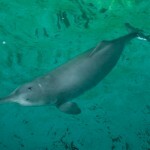 Most species live in tropical and temperate oceans throughout the world; a few species live in the world’s rivers (such as the endangered Amazon river dolphin a.k.a. 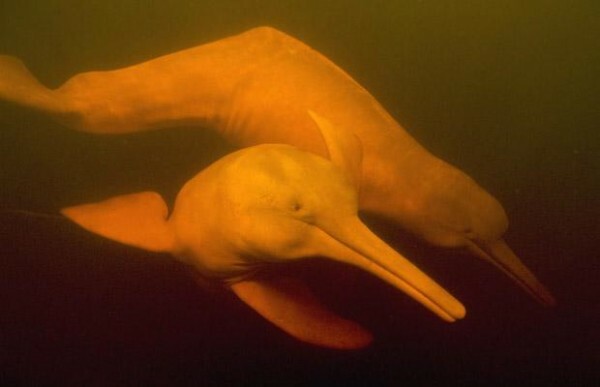 the pink river dolphin). 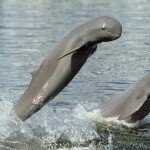 There are 36 species of dolphins – 32 marine species, and 4 river (freshwater)species. 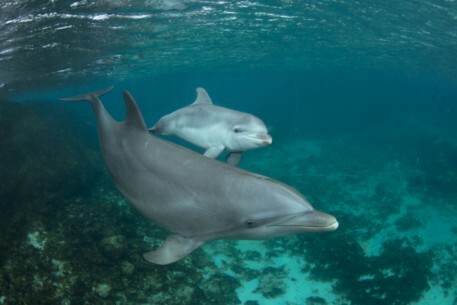 Dolphins are carnivores, mostly eating crustaceans, fish and squid. They have clever methods of catching fish, and getting a good meal out of big shoals. 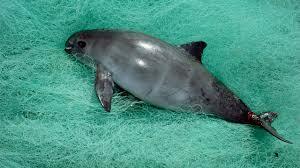 They trap the shoal close to the surface of the water, and blow bubble “walls” or “nets” to keep the shoal together. The dolphins then take it in turns between blowing bubbles and feeding. Some will also slide up onto beaches (almost beach themselves) to catch fish in the shallows. Dolphins, like bats, use echolocation to navigate and hunt, bouncing high-pitched sounds off of objects, and listening for the echoes. 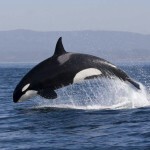 They can find food, each other, navigate around their environment, and locate objects with echolocation. They have a special organ for echolocation known as the melon organ. The melon also helps with hearing via echolocation They use their teeth as a type of antennae so that they can receive information about incoming sounds. They get information about the size and the shape of the object, before they actually see it, through this process. The melon is located in the forehead, in front of the skull. 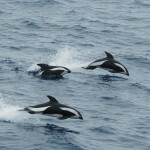 Dolphins have complex and large social and family groups. They are very loyal and will not abandon a family member in need or is in injured. 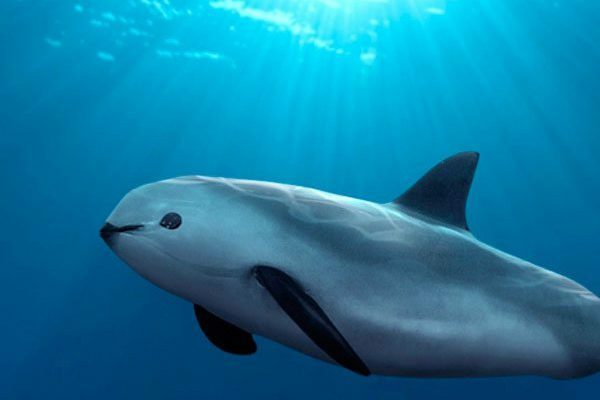 Unfortunately, this makes them easier to hunt – humans have hunted them by trapping a few in shallower water and injuring them, the rest of their family will then not abandon them, and any relations of the others will not leave… you see my meaning (unfortunately). A group of dolphins is known as a pod. The males are bulls, the females cows, and the young are known as calves. 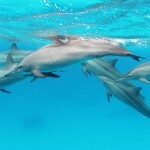 Dolphins have such diverse appearances – big ones, small(er) ones, striped ones, spotted ones, plain ones, long beaks (snouts), short beaks, round heads, long heads, tall dorsal fin, short dorsal fine, arched back, straight back… The Largest of all dolphin species can grow to over 31 feet long when fully grown, which has provided them with the incorrect name of “whale” – the Orca, more commonly known as Killer Whale. 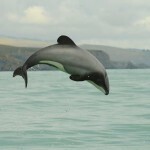 The smallest known species is the Maui’s dolphin, growing up to 5 ft 6 – 7 inches. 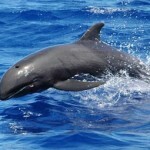 So to finish this post, here are some photo’s of different dolphin species of all shapes and sizes!